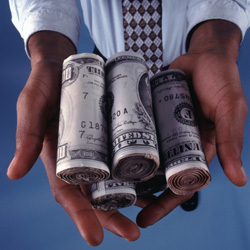 Buying structured settlement requires contacting a settlement broker to aid in locating sellers to discuss the deal. The NSSTA or National Structured Settlements Trade Association works with more than 600 licensed insurance companies, brokers, and other parties in the industry of supervising structured settlements. Every member of the NSSTA should comply with the code of ethics prior to approval of application. Contact this association so you can locate an independent lawyer who will gladly represent your best interest, both ethically and legally. As a structured settlement purchaser, it’s beneficial to ask your broker or attorney for quotes and breakdown of fees linked with settlements. The fees that come with these financial agreements can be high or low depending on the amount of settlement and the time invested. Litigation calls for higher rates, though not all amounts should be paid upfront. If the fee is high, ask if you can pay your broker in installments. Choose your preferred payment schedule. For the most part, structured settlements can work with almost any kind of payment schedule. Payments can range from every day up to once or twice every two years or more. Companies that buy structured settlements are familiar with their tax obligation, and as an independent purchaser, you should do the same. People who have structured insurance settlements benefit from having a structured payment deal rather than recompensing in one lump sum because of the tax policy. You must become aware of the tax guidelines published by the IRS on structured payment settlements. 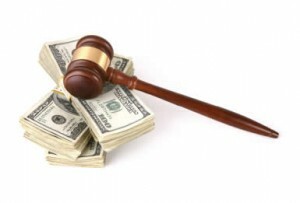 Learn about the structured settlement laws in your area or state. Many states allow structured payments, subject to court approval, provided that the settlement is for the best interest of the consumer. Due to the requirement of people to convert their scheduled payments into instant cash, a secondary market was created for these income streams. There are companies that deal particularly with structured settlement loans, giving out litigation funding to claimant during the pendency of the lawsuit. There are others that assist beneficiaries in transforming their structured payments into instant lump sum amount. People who have taken or still taking annuity payments are aware of the unsolicited recommendations and proposals from companies and individuals who would like to benefit from their mishandled finances. Thus, those who would like to purchase or sell should be aware of unscrupulous companies in the market. If you are considering purchasing structured settlements as investments, assess the reputation of the broker that you are dealing with. Don’t work with a company that may become bankrupt or insolvent right after you bought the structured settlement. It’s most advantageous to consult with a tax advisor or attorney prior to entering with any transactions. Get in touch with potential sellers via a structured settlement broker who will match and weigh differing offers and keeps comprehensive resources to equip you with transaction as well as legal guidance. There is no doubt that when you buy structured settlements you involve yourself in the lucrative business of investing in large monetary claims. The tax benefits and facility to be structured against market inflation can build a long-term income generating tool to broaden your investment portfolio. However, because of the serious legal restrictions on transfer and assignment of structured settlements, before purchasing one, you must explore the ramifications of seeking out legal advice.